Turkish President Recep Tayyip Erdoğan called the Netherlands a ‘Nazi remnant’ and said the country should face sanctions for barring Turkish ministers from speaking in Rotterdam, fuelling a row over Ankara’s political campaigning abroad. 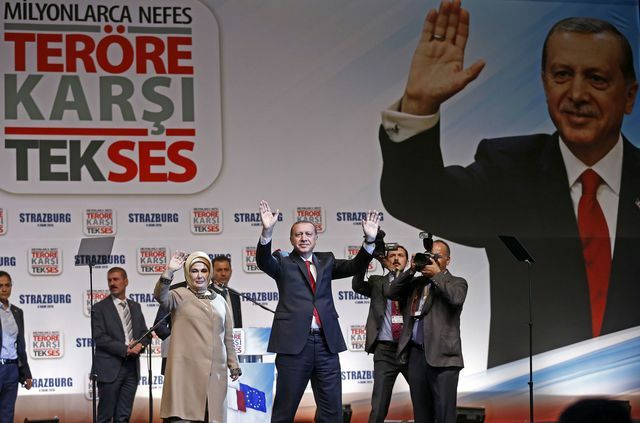 Erdoğan is looking to the large number of Turks living in Europe, especially in Germany and the Netherlands, to help secure victory next month in a referendum that would give the presidency sweeping new powers. The EU lacks rules regulating election activism by third countries on its territory. Recent Turkish campaign attempts in Germany, Austria and other countries will be one of the issues to be discussed at the 9-10 March summit. Erdoğan has cited domestic threats from Kurdish and Islamist militants and a July coup bid as cause to vote “yes” to his new powers. But he has also drawn on the emotionally charged row with Europe to portray Turkey as betrayed by allies while facing wars on its southern borders. 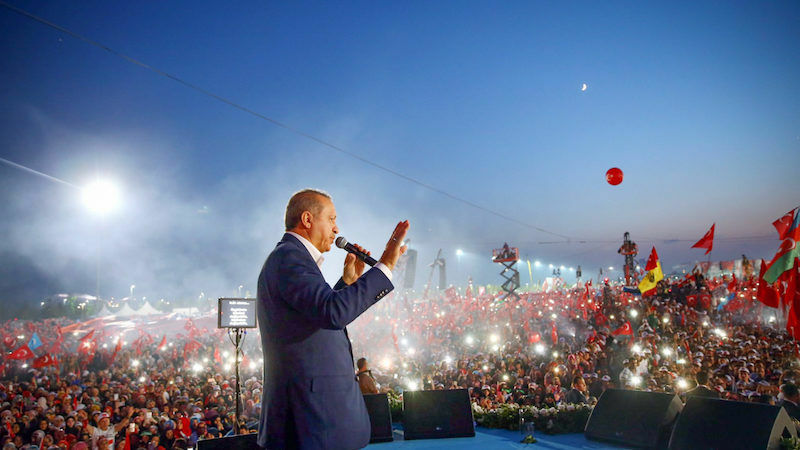 “I call on all international organisations in Europe and elsewhere to impose sanctions on the Netherlands,” Erdoğan said yesterday (12 March), after his prime minister earlier said Turkey would retaliate in the “harshest ways”, without specifying how. “Has Europe said anything? No. Why? Because they don’t bite each other. The Netherlands are acting like a banana republic,” Erdoğan said in a speech in Kocaeli province, near Istanbul. In a speech in France, Foreign Minister Mevlüt Çavuşoğlu described the Netherlands as the “capital of fascism” as it joined other European countries in stopping Turkish politicians holding rallies, due to fears that tensions in Turkey might spill over into their expatriate communities. The Dutch government barred Çavuşoğlu from flying to Rotterdam on Saturday (11 March) and later stopped Family Minister Fatma Betul Sayan Kaya from entering the Turkish consulate there, before escorting her out of the country to Germany. In the meantime, an unidentified man has raised a Turkish flag at the Dutch consulate in Istanbul yesterday after lowering the Dutch flag amid a row between the two countries that was touched off by the Netherlands’ refusal to allow a Turkish minister to enter the Turkish consulate in Rotterdam. The Dutch government – set to lose about half its seats in elections this week, according to polls, as the anti-Islam party of Geert Wilders makes strong gains – said the visits were undesirable and it would not cooperate in their campaigning. On Sunday, Erdoğan claimed that “Nazism is still widespread in the West” in what Dutch Prime Minister Mark Rutte said were inflammatory remarks. “We ended up in a totally unprecedented situation in which a NATO ally…with whom we have historic ties, strong trade relations, is acting in a totally unacceptable, irresponsible manner,” Rutter told reporters. Rather than the Netherlands apologising for refusing the Turkish ministers entry, Turkey’s president should apologise for comparing the Netherlands to fascists and Nazis, he said. The row risked spreading on Sunday as Denmark’s Prime Minister Lars Løkke Rasmussen proposed postponing a planned visit by Yıldırım this month due to the dispute. The French foreign ministry urged calm and said there had been no reason to prohibit a meeting in France between Çavuşoğlu and a local Turkish association. Supporting Rutte’s decision to ban the visits, the Dutch government said there was a risk of Turkish political divisions flowing over into its own Turkish minority, which has both pro- and anti-Erdoğan camps. The diplomatic row comes in the run-up to next week’s Dutch election in which the mainstream parties are under strong pressure from Wilders’ Party for Freedom (PVV). Experts said it was too early to tell how events in Rotterdam might affect the election. “If there is any impact, however, it is likely that Geert Wilders and his PVV Party will profit most,” said Leiden University professor of electoral research Joop van Holsteijn. After Turkey’s family minister was escorted into Germany, Wilders tweeted: “go away and never come back”. The Dutch government cited public order and security worries in withdrawing landing rights for Çavuşoğlu’s flight and Turkey fired back saying the Dutch ambassador to Ankara should not return from leave “for some time”. Hundreds of protesters gathered outside the Dutch embassy in Ankara and consulate in Istanbul. Police sealed off both sites. 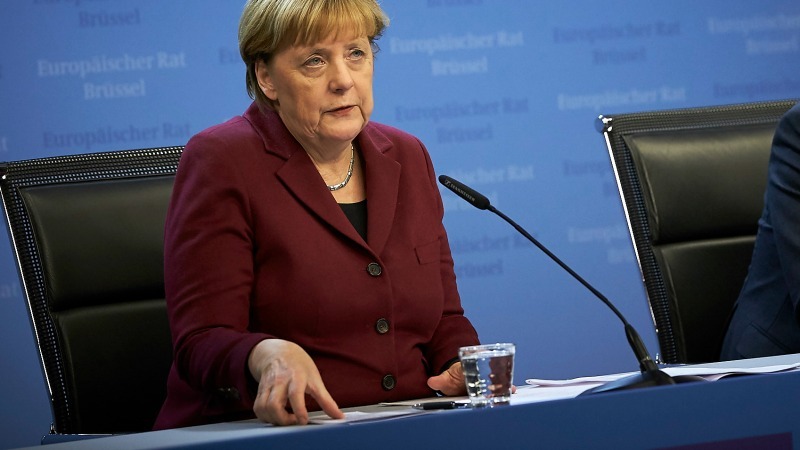 German Chancellor Angela Merkel has said she will do all she can to prevent Turkey’s domestic tensions spreading onto German territory. Austria and Switzerland have also cancelled Turkish rallies due to the escalating dispute. Germany rejected as “absurd” yesterday (6 March) Turkish President Recep Tayyip Erdoğan’s comparison of its ban on several rallies to the Nazi era, but it also stressed the importance of ties between the two NATO allies in an attempt to defuse an escalating war of words. European Parliament Vice-President Alexander Graff Lambsdorff demanded a ban on Turkish ministers campaigning in the EU. “The European Union should agree on a line that Turkish ministers are not allowed to campaign in the EU,” he said. “The Dutch are showing how it is done, the German government pussyfoots around … in that way Turkey can try to play one country off the other,” he told Die Welt. I criticized the outrageous attitude of Dutch government to BBC. Erdogan & is mates cvome across as a pack of congenital liars – there is no other piossible interpretation – the BBC interview was a classic, an Erdogan glove puppet saying back is white. Bad people. @Council polarizing BS… if you want to get real you should make sure that external borders are guarded by European citizens and if that is not good then cut sweet deals of commerce and funding to the dictator Erdogan. “call on all international organisations in Europe and elsewhere to impose sanctions on the Netherland”???? Islamists fanatic (This is true) Dictator Erdogan who jailed lots of own citizens and who wants death sentence reinstated thinks he’s the only man in World who can even dictate the EU . First Germany then Holland and who will be the next scapegoated by the Dictator ?